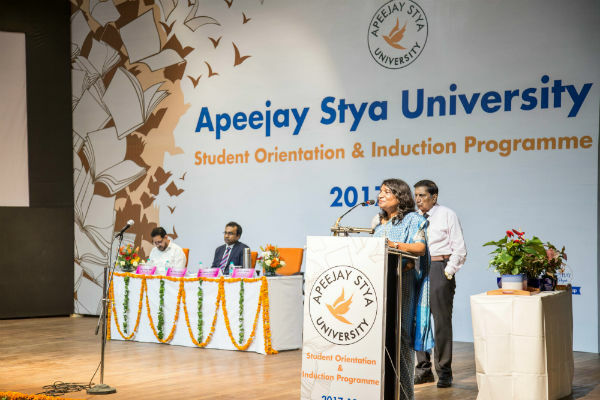 New Delhi, 19 August 2017: Apeejay Stya University (ASU) recently organised its annual student orientation programme to welcome the new batch of students. The student orientation programme not only gives an overview to the students about the various facets of the university but also encourages them to make the most of their stint in the university to triumph not only in their career but also in life as good human beings. About Apeejay Stya University: ASU is located at Sohna Palwal road in district Gurgaon of Haryana. It is a seat of global learning that offers rich opportunities for innovative teaching-learning, creativity and research across disciplines. 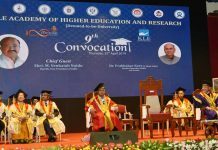 It aims to bring about transformation of the society through value-based education, man-making and nation-building by blending the dual identities of a technology and research based university with a Liberal Arts institution. ASU, recognised by the University Grants Commission, was established in the year 2010 by the Apeejay Stya Education Foundation.